Journey with the Minions as they travel through the greatest eras of history. 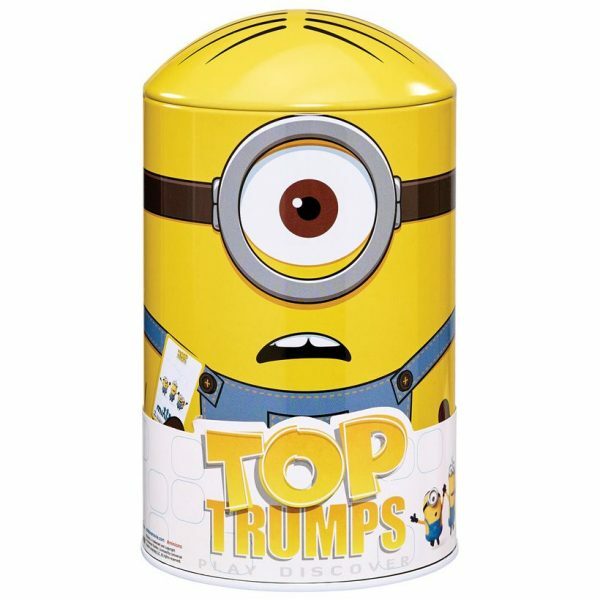 Led by Kevin, Stuart and Bob, the journey begins from the Dawn of Man, through to the eras of Egyptian and Napoleon’s reign, to finally reaching their final destination of New York City in the 1960’s. 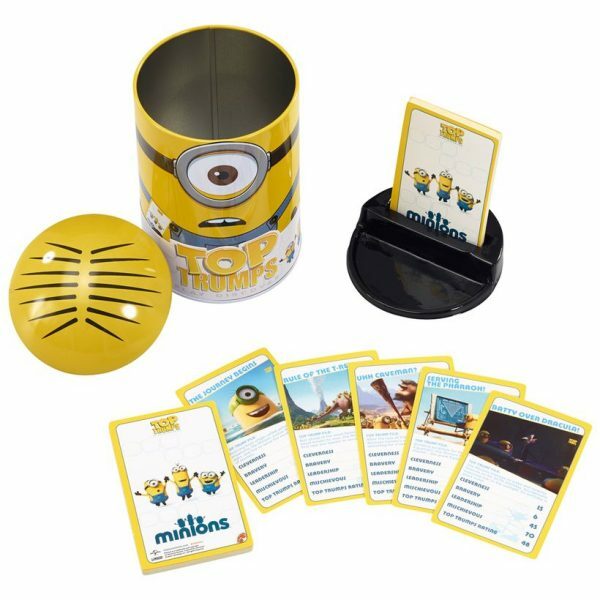 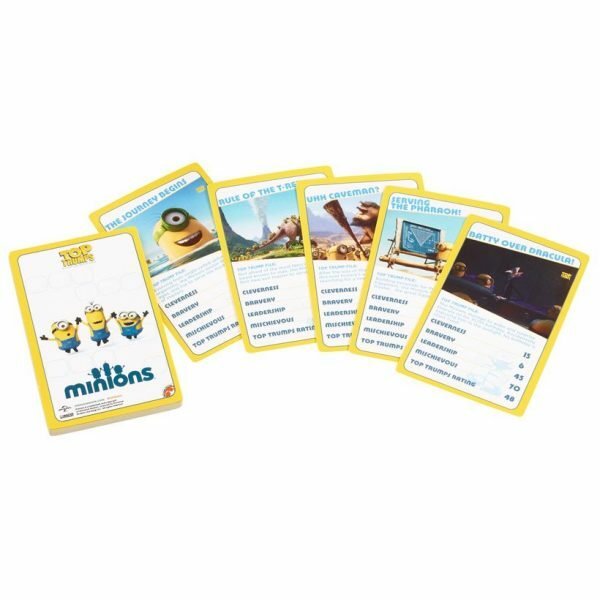 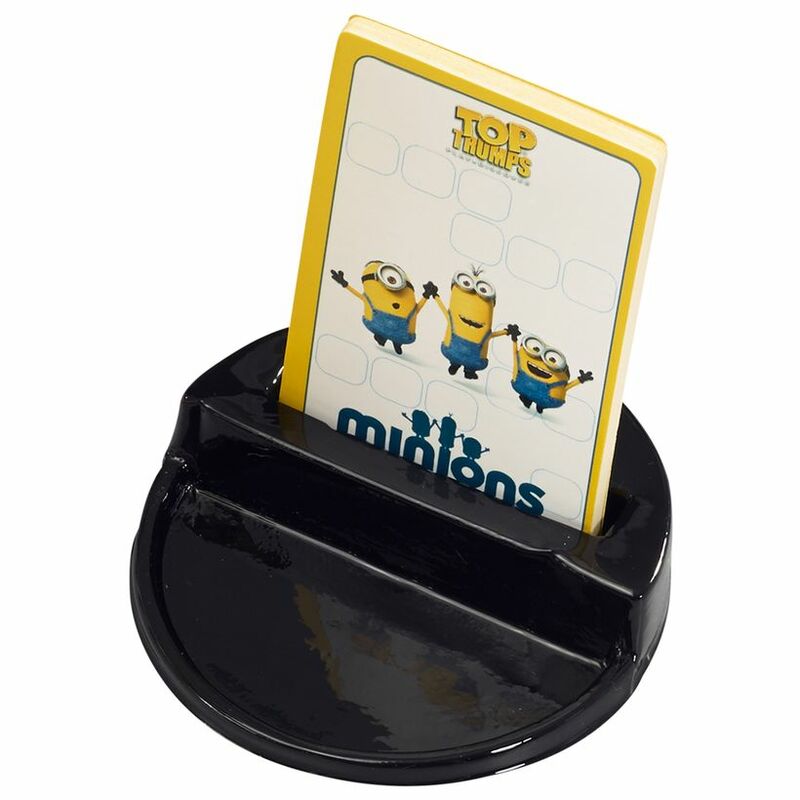 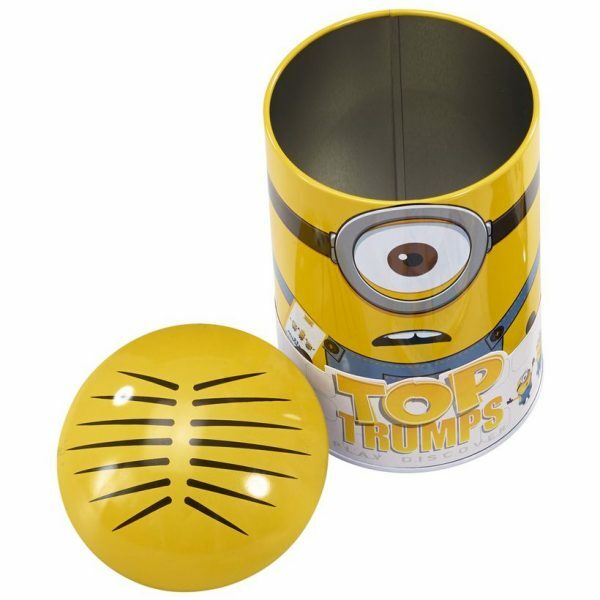 The Minions tin features a pack of Minions Top Trumps, where fans can battle the epic moments of the Minions journey and discover which Minion is the craziest, the cutest and the most villainous. 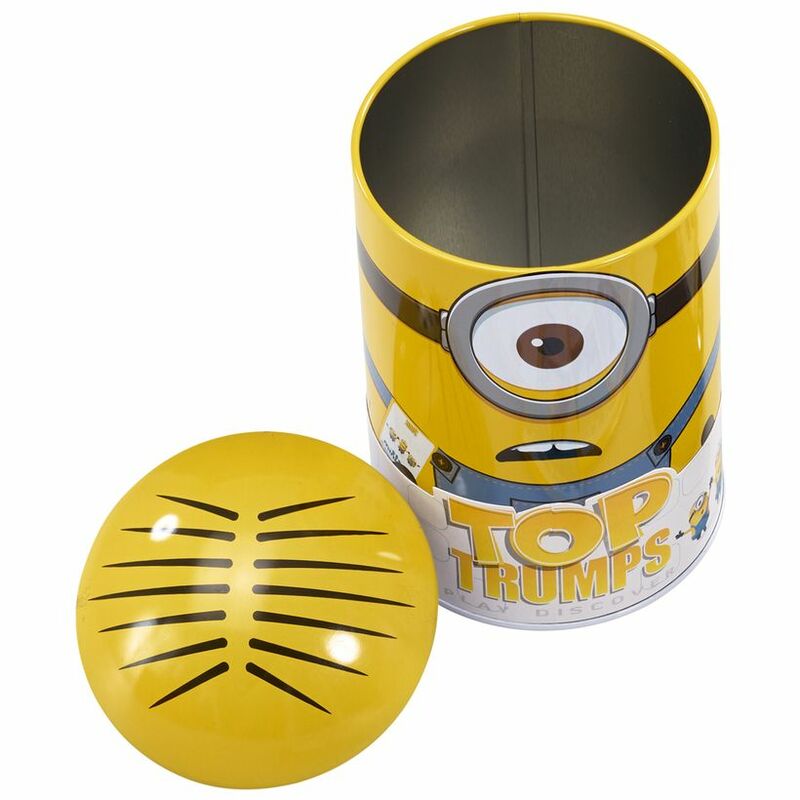 The tin also comes with a free poster inside!